My goal is to include in a zip file what amounts to a shortcut, instead of telling my customer(s) to open up Terminal and run a shell script. I found this that describes how to create a new workflow in Automator, then save it as an application to launch a shell script. I tried to do that to wrap run.sh but it says it can't find run.sh. do shell script "java -jar app.jar"
C'mon, this should be pretty simple. What I am doing wrong here? I can see a couple of things wrong there. Firstly you have opened a workflow and not an Application. 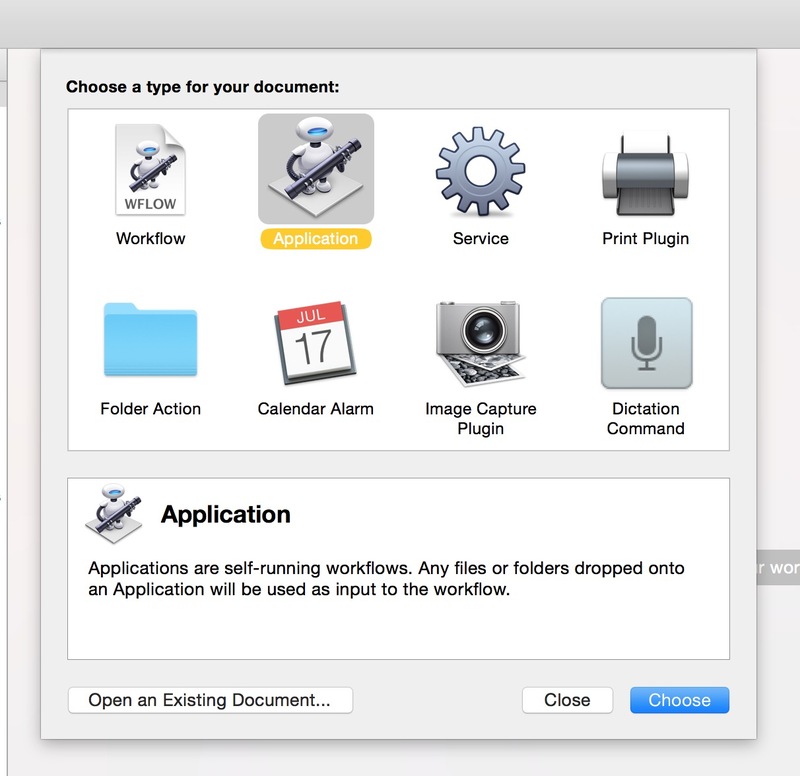 You should choose Application when you make your selection for the type of Automator file. And the code you have will not work as you expect, since you have not changed directory. (cd). In the code as you have it, all it is doing is getting the path as an alias and storing it in the variable current_path and in a format unsuitable for the unix commands. But you do not use it. At this stage there is no telling what it is trying to launch. If I run it as you have it I get. Which makes sense since I do not have Java installed. But if I did I would not expect it to find the right file. The Applescript need to look like this. do shell script "cd " & quoted form of (POSIX path of current_path) & " ;ls | open -fe"
do shell script "cd " & quoted form of (POSIX path of current_path) & " ;/bin/ls | /usr/bin/open -fe"
i.e from "alias "Macintosh HD:Applications:"" to "/Applications/"
The quoted form of escapes the path using quotes. I have used the /bin/ls command and pipe it to the open in TextEdit stdin as a demonstration here so that you can test to see if you are getting to the area you expect. do shell script "cd " & quoted form of (POSIX path of current_path) & " ;\"java -jar app.jar\""
A another way is just use pure Applescript. do shell script "cd " & quoted form of (POSIX path of file_path) & " && java -jar app.jar"
The && is important. If the cd succeeds, the java command will be launched within the right cwd. If cd fails, the java command will not be run. escaping the POSIX path passed to cd; users will have oddly named folders and spaces in their paths. the cd may fail; wrap up your AppleScript in a try block to catch some errors and warn the user. Personally, I would wrap use a short perl script in place of a bash script. There are much better ways to write this perl snippet but this should work. The best approach is to work through the problems with your Automator approach. @markhunte's answer discusses how to fix the path and create an application. This should get you most of the way. Also see AppleScript path relative to script location. Alternatively, you can use Thomas Aylott's appify script to bundle your shell script into an OS X application. Mathias Bynen's article walks through how to use the script, how to create simple Mac apps from shell scripts. Once you have created your application bundle, it should be code signed. A code signed app will launch without requiring your clients to disable Gatekeeper. Code signing is a security technology, used in OS X, that allows you to certify that an app was created by you. Once an app is signed, the system can detect any change to the app—whether the change is introduced accidentally or by malicious code. Learn more about code signing on the Apple Developer site. Can you change run.sh to run.command and get the user to double click it? 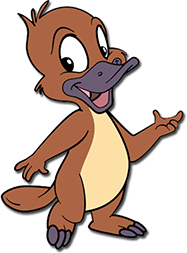 Use Platypus: "Platypus is an OS X developer tool that creates native Mac applications from interpreted scripts..."
Here is my take on what I understood you are trying to accomplish. The code is long winded on purpose. All you need to do is copy the code to the Applescript Editor, make any changes you want and save it as an application. As for the dialog about PowerPC application not supported, I don't know. Can you run it from the command line? I would check that to confirm the app works first. do shell script "cd " & qdpath & ";  sh ./run.sh"
with title "Deliverable Script Launch"
Not the answer you're looking for? Browse other questions tagged macos applescript automator bash command-line . Can I create an Automator application to start Tomcat when I need?